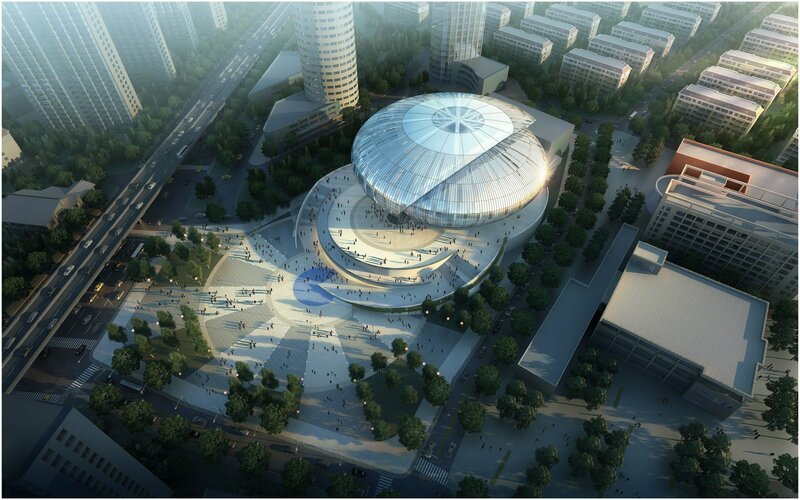 GreenbergFarrow was tasked with re-imagining the façade of the Shanghai International Gymnastics Center, an increasingly popular attraction in Shanghai. The client required that the stadium's program included additional seating, improved circulation, and iconic identity has come too. The challenge for this design project came with the inherent restrictions of the existing structure. The GreenbergFarrow designers worked closely with internal engineers to formulate massing options that could satisfy the seating requirement, adhere to structural restrictions, and present a modern, functional, and beautiful design for the client as well as the city of Shanghai.